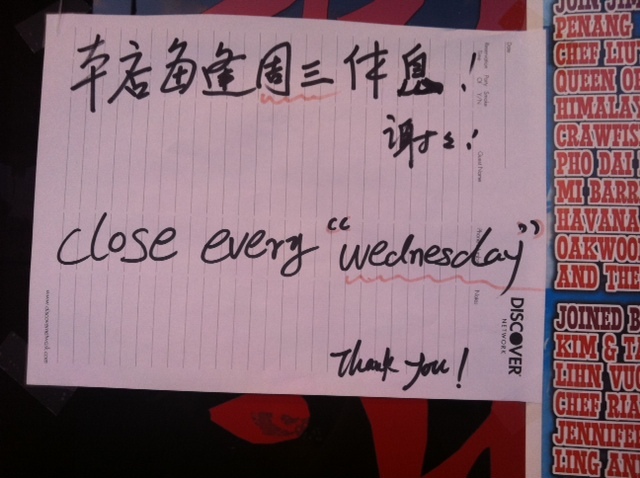 The “Blog” of “Unnecessary” Quotation Marks: Every "Wednesday"
Whenever we feel like closing, it's "Wednesday!" Also, if any of you can read the characters above the English, please confirm that it says the same thing with the same red underlines. Thanks, Liza. My guess is the English was written by someone who could read Chinese. 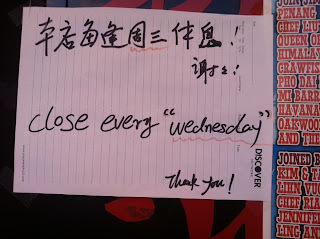 It is their way of mocking a "misspelling"
The writing in Chinese says "this store is closed every Wednesday," but yes, the underlined words makes Wednesday.